Cardano is a newly introduced digital coin that is becoming quite popular with amazing speed. Though the cryptocoin is still at its budding stage, it has a great prospect. Venturing into it will become simpler as its acceptance is becoming wider. The guide provided here will help you to get started because the information it contains is drawn out of my personal experience. There are just a few ways of purchasing Cardano for now. You will only be able to purchase it via ATM or using other commonly utilized digital coins like BTC and ETH. 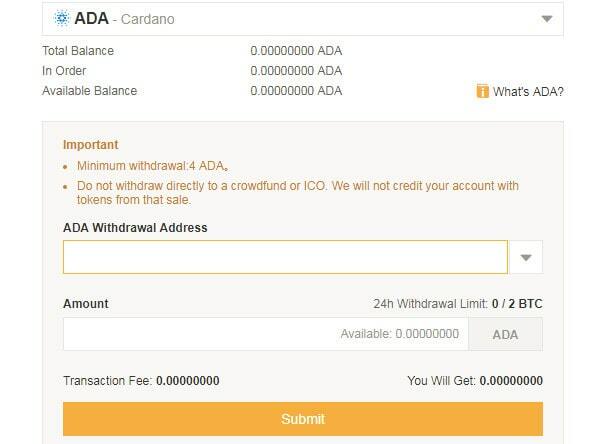 Unfortunately, ADA cannot be purchased with fiat money or e-Wallet directly. The simplest means of buying ADA is to exchange it with BTC. There is a couple of exchanges that have ADA – BTC pairs. 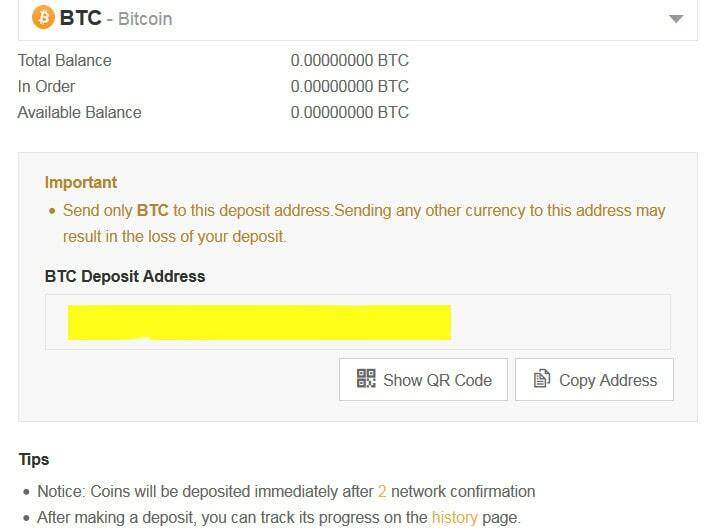 If you own some Bitcoins, you will use it to get this cryptocoin. An alternative way is to purchase BTC from a trading platform and then trade it with ADA. Find out the rate at which BTC is exchanged for ADA in the few networks that have such pairs and then choose one that gives you a better rate. Another digital currency that is paired with ADA in some forex networks, for now, is ETH. Purchasing ADA with Ethereum has a similar process with that of BTC. Simply exchange yours with ADA if you have any or purchase ETH and then use it to get Cardano. You may find this option much comfortable as it comes with a lower fee. If you are in Japan, you will be able to buy ADA from a network of automated teller machines. The information on the official website of this group shows the service will be initially made available in five locations, but up to 25 ATM will be launched within the first year of the existence of ADA. Once the ATMs start to function, a list of their locations will be provided on their official website. Currently, you cannot purchase ADA using any of the e-Wallet brands or with fiat money directly. The best you can do is to use any of these methods to get a BTC or ETH and then utilize it to buy ADA. 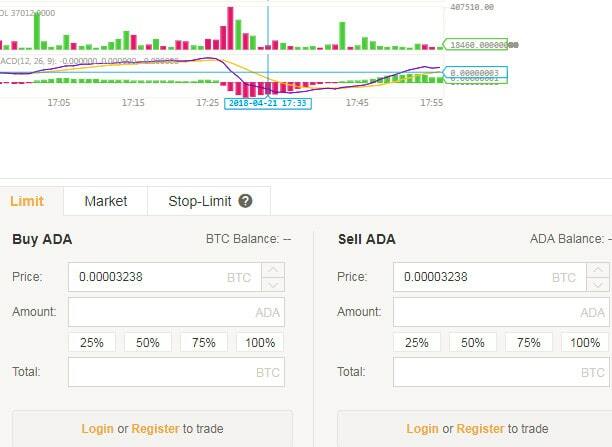 How to Buy ADA on an Exchange? Check the official website of Cardano to find out the various trading platforms that deal with ADA. The few available trading pairs in these exchanges are BTC/ADA, ETH/ADA, ADA/BTC and ADA/ETH. 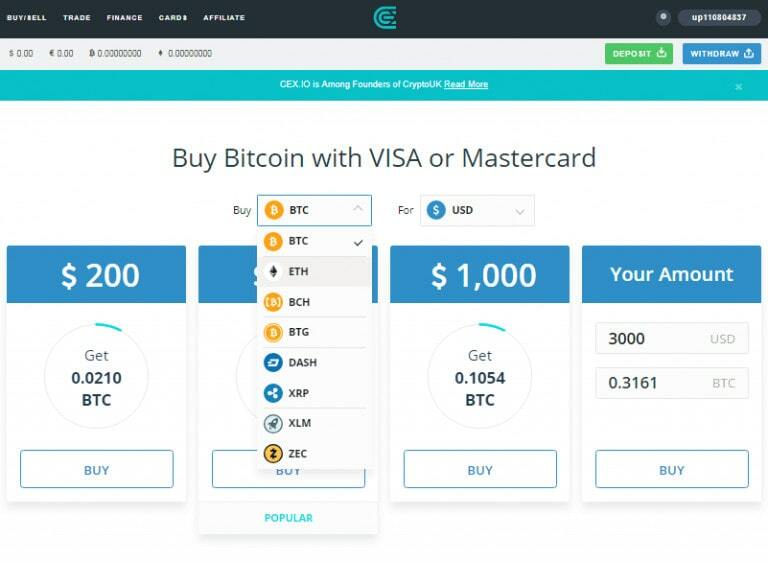 CEX.IO is one of the few trading platforms where you can purchase ADA with BTC or ETH. So, let’s take a look at how to obtain this coin from this exchange. Screenshots are included for clearer understanding. Sign up on the website. To do this, you will require a functioning email ID, strong password, and phone number. Alternatively, you can also set up an account via certain social media websites. Then authenticate your account. 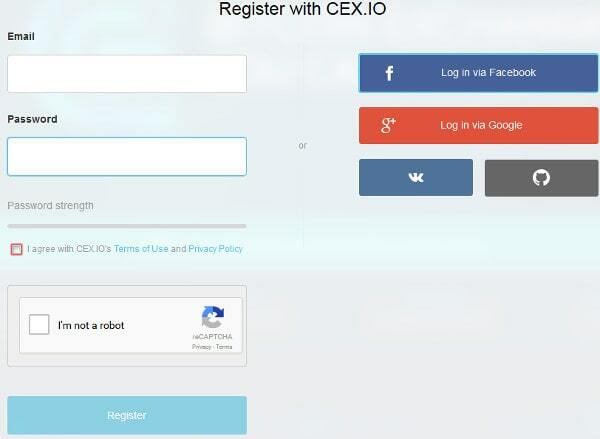 CEX.IO will send you a code via SMS and e-mail for the verification of your account details. Upload your ID on the system and provide your personal details and other information required in order to have a complete account with a full profile. Once you have successfully completed the authentication process, locate the deposit button on the menu at the top and press it. Choose a suitable method to put money into your account. Each option has its strengths and drawbacks which you have to consider before making a choice. Credit/debit card. The strongest aspect of this banking option is that the input is instant, but the drawback is that you’re charged some commission for the services. Bank transfer does not attract any commission. The major disadvantage of this option is that the transfer is completed within several days. Once, your account is bankrolled, press the button for buy/sell on the menu at the top. There are various currencies traded on the site including Rubles, Pounds, Euros, and Dollars. Decide whether to purchase Bitcoin or Ethereum and then exchange them for Ada. There is a custom amount box at the bottom of the page where you have to key in the value of the cryptocoin you want to acquire. You can also decide to keep to the pre-calculated amount shown once you make a choice of your preferred digital currency. Complete this process by pressing on the Buy tab. Binance is another trading network that deals with the digital currency. The service charges are not high and they boast of good support. The platform has not encountered any challenges so far. There are two trading accounts available on this network, the basic and advanced. Set up an account on the network. Sign into your account, take a look at the top right side for the menu items. Place the cursor on “Funds” to get the “deposits / withdrawals” submenu. All the coins you have bought from the CEX.IO website you need to transfer here. Key in BTC or ETH in the search box to attach the address to those in Bitcoin or Ethereum. Make a deposit. Once your Binance is funded with coins, go to the top left side and place the cursor on Exchange menu and choose the submenu “Basic.” At the top right of the currency box, choose ETH or BTC. The implication of this is that you are searching for coins that you can exchange for Ethereum or Bitcoin. Check for ADA in the search line. The available options such as ADA/BTC and ADA/ETH will be shown. To get the daily chart which will appear on the left side with candle sticks and orders, you need to click on ADA. You will find the required green price, click on it. Decide and choose the amount you will like to put in your ADA investment. You can click on 100% or lower which can be 25 or 75%. The prices on green numbers are not the same with others. You will be able to choose from them if you like (the choice is yours). They are regarded as the limit purchase. When you click on market order, choose the amount of ETH or BTC that you want and press on Buy ADA. It will be purchased at the market price. The system will show when the transaction has been completed successfully. If you’re comfortable leaving your fund on Binance, nothing will happen to it. Nonetheless, you can bank them in your personal wallet. This is because there is the possibility of fraudsters hacking into a trading network which has happened before causing traders their coins. Press the button for withdrawal; a form will come up for you to fill out. If you are sure that you got them all right, then click on Submit. If you have created a two-factor authentication, a code will be sent to your phone which you will be required to provide. Key in the code and click the submit button. A withdrawal confirmation email will be sent to the email you provided for the confirmation of output. Login to your email, confirm withdrawal. Why It’s Not Possible to Buy ADA with Fiat? Many exchanges do not deal with the coin as it is new on the market and still gaining popularity. Probably, the situation will change once the digital currency becomes conventional and trading websites include more cryptos to their services. How to Check a Transaction History? You will be able to find out your transaction histories through a block explorer that is unique to Cardano. A public record of all ADA transactions is maintained through the blockchain. Thus, you will be able to find the public address of a sender, the amount sent and the deal’s time. The CardanoTestnet version is functioning already but the real version will be set up in no distant time. Is It Possible to Mine Cardano? The mining algorithm used by Cardano is completed new. It is known as Ouroboros. It is mathematically secured as demonstrated by its developers. It is the first to achieve this. How Many ADA Coins Are Currently in Circulation? About 32 billion ADA are in circulation now. Cardano was started in 2015 with Japan as its primary based. But it was released to the public on 29 September 2017. The coin for Cardano known as ADA was first traded on 1 October 2017. It has quickly risen and by 27 November 2017, its market capitalization rose to $1.3 billion. Today, it is regarded as the fourth largest digital crypto currency across the globe. Bear in mind that this digital currency is new and will continue to unfold. Thus some of its features explained below are yet to become functional at the time of this write-up. Multiple-layer design. They are the computing and settlement layers. Easy to be upgraded. The design is made in such a manner that each of the layers can be improved and forked individually. Confidential plus compliance. High level of confidentiality is maintained in all transaction despite the fact that individuals are recognized by the computing layer. Having Daedalus wallet is a requirement that you must satisfy before you can use Ada. This hierarchical deterministic (HD), multi-platform wallet comes with a number of unique features. It is a secure system with immunity against malware and any other threat. Funds can be placed in cold storage. The redemption of Cardano is set up directly into Daedalus. Staking that makes it possible for owners of Ada to take part in the generation process of the blockchain, and to obtain extra currency.